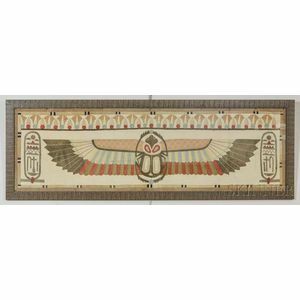 Framed Egyptian-style Appliqued Scarab Textile, ht. 20 1/2, wd. 59 3/4 in.